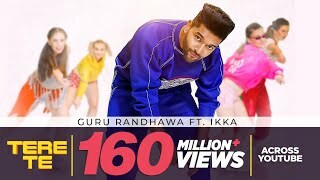 Tere Te Lyrics – Guru Randhawa Feat. IKKA: The song is sung by Guru Randhawa, featuring rapper and lyricist of the song – IKKA. The song has music produced by VEE and Abhijit Vaghani whereas its music video is directed by DirectorGifty.